This is a spectral analysis of the noisefloor of the 24 bit/48k-sampled, MQA-encoded FLAC file, decoded by the Meridian Ultra DAC. 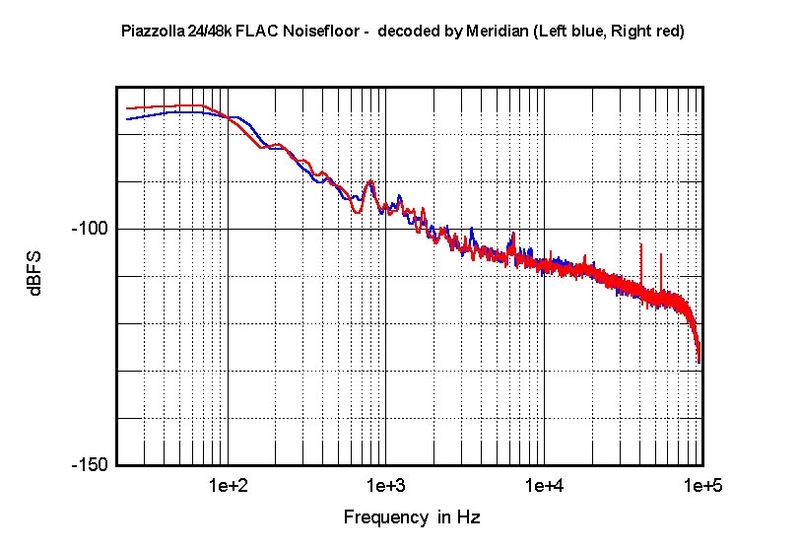 Other than the smooth extension of the spectrum of the audioband and not having the rise in noise close to 20kHz, it is identical to the spectra of the noisefloors of both the undecoded and decoded MQA-encoded CD. The MQA-encoded data on the CD thus lie beneath the analog noisefloor of the original recording.